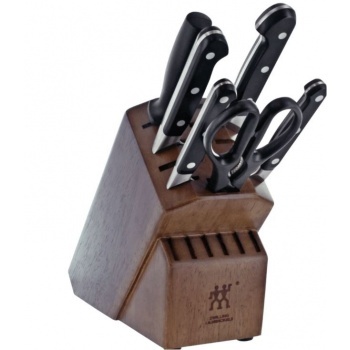 The knives are honed and hand-finished by the most skilled artisans. The laser controlled edge is incredibly sharp. 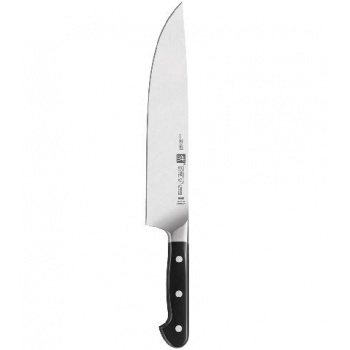 The entire length of the blade can be used for cutting and chopping and the edge can be sharpened in full from the bolster to tip. 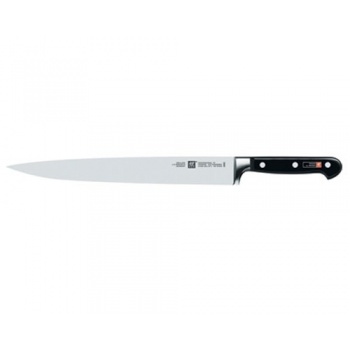 The knives are made of proprietary special formula German steel that has been perfected more than 280 years. Combined with ZWILLINGs FRIODUR® ice-hardening technique, the result is a harder, sharper blade that will NOT STAIN or chip and remains sharp longer. Each knife is precision forged from a single piece of steel using ZWILLINGs SIGMAFORGE® process. 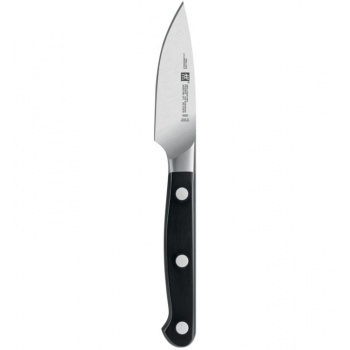 The result is an exceptionally sturdy, balanced and flexible blade. After exhaustive study of cutting techniques the traditional blade shape was optimized in subtle yet impacting ways. 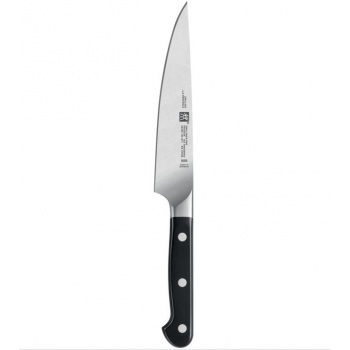 Years of work culminated in the ZWILLING wedge geometry that improves comfort and cutting technique. The curved bolster, conceived in Italy by famed designer Matteo Thun, is meant to be an extension of the hand. Holding a knife correctly is the key to precision, safety and comfort. 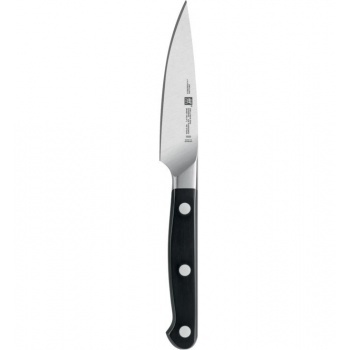 The ZWILLING curved bolster supports the perfect professional grip with thumb and index finger on the blade. 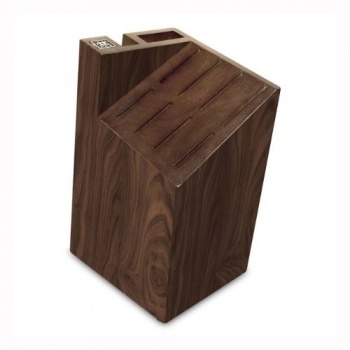 The curved bolster supports both classic Western circular or rocking cuts and Asian chopping style cuts.